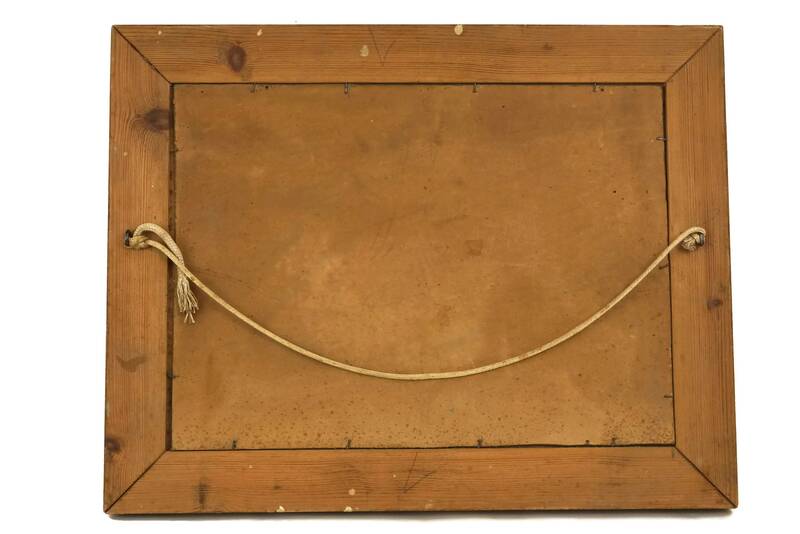 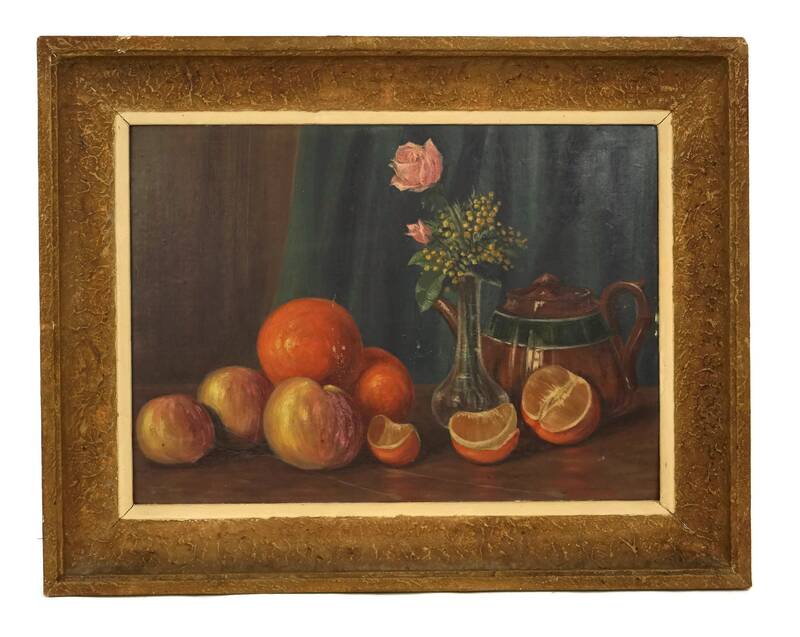 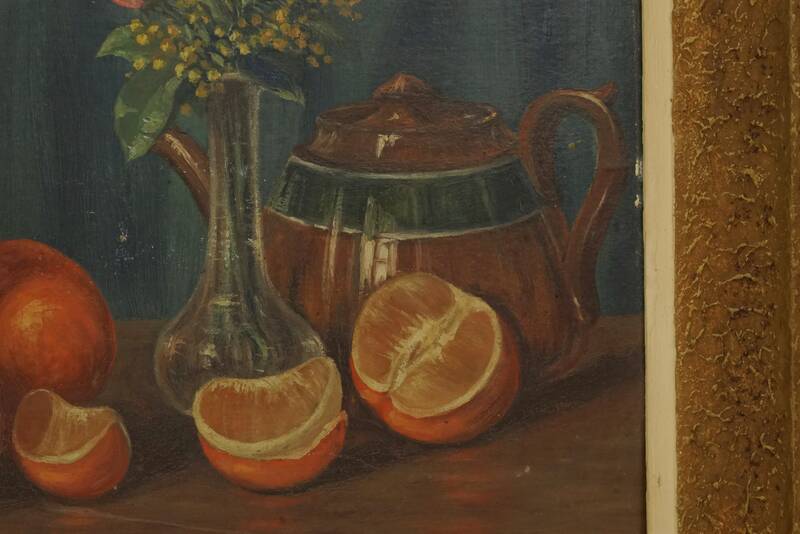 A charming vintage rustic still life painting from the early 1900's. 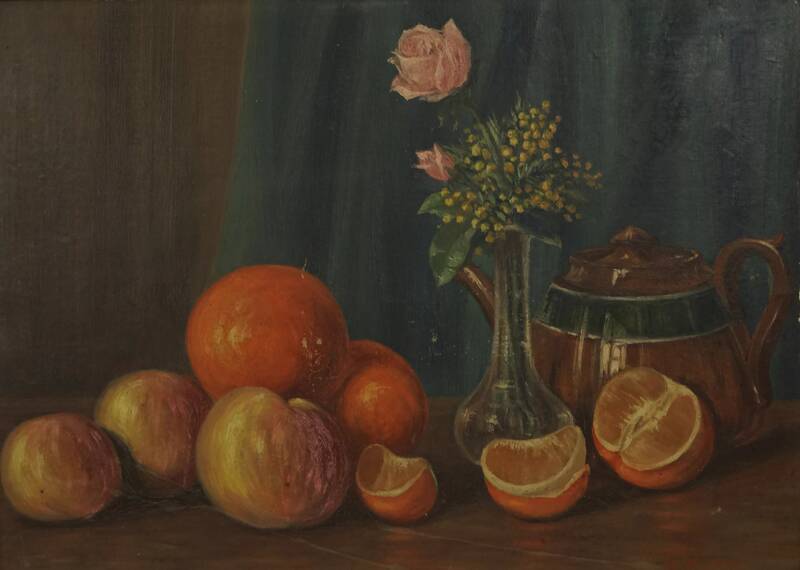 It portrays a scene with a brown pottery teapot, oranges, apples and a vase with pink roses and delicate mimosa blossoms. 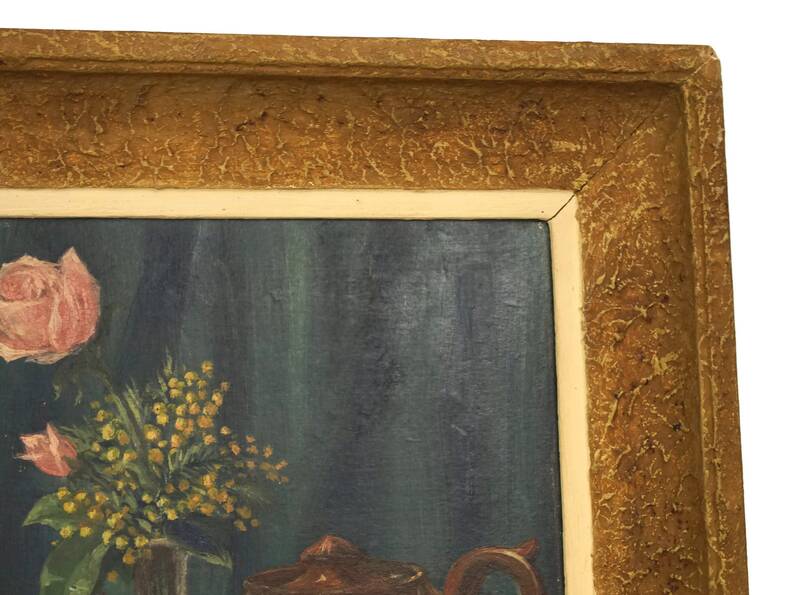 It is filled with old world charm and would be the perfect accent in a cottage kitchen. 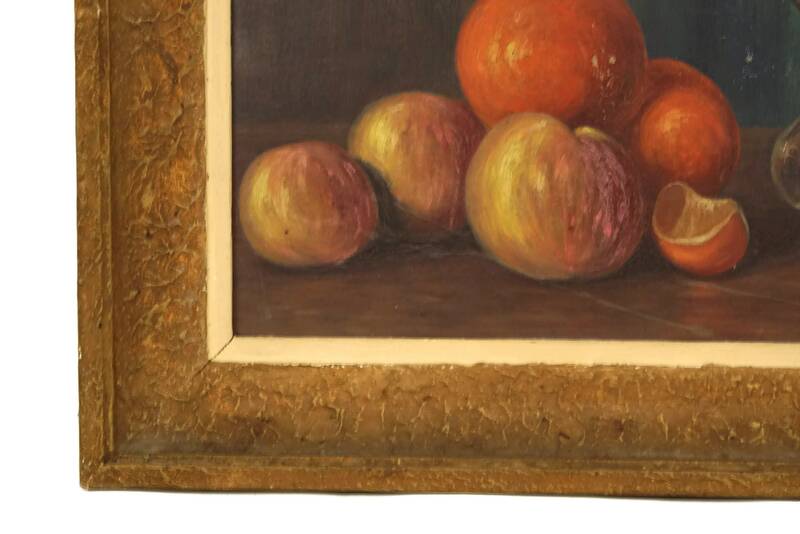 The original French art has been created in oil paints on board and has been framed in a broad wooden frame with a textured surface. 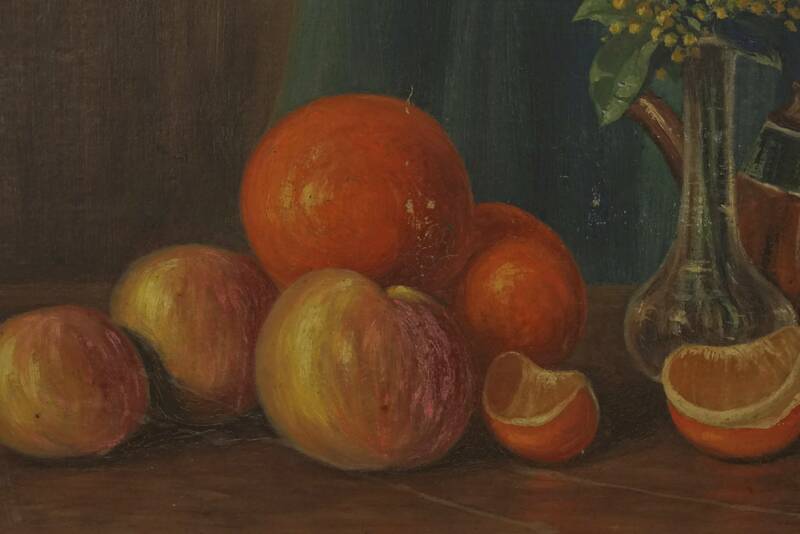 (52 cm x 40 cm). 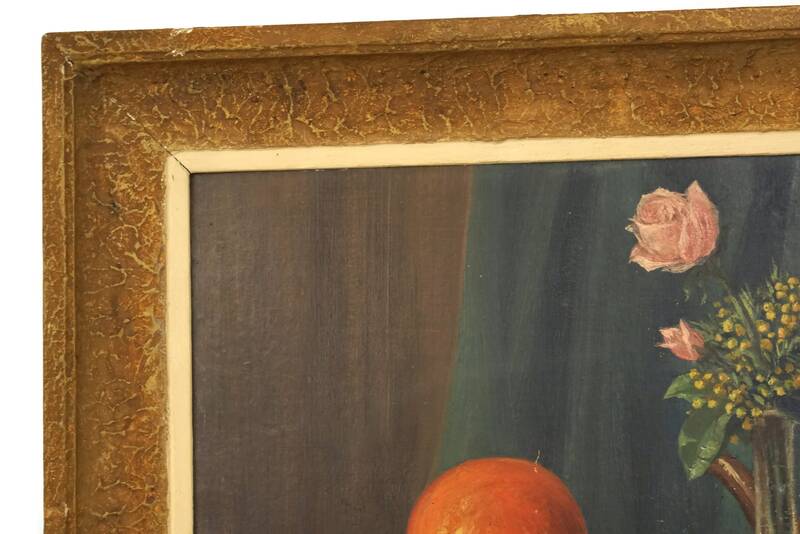 The painting is in good condition with some light signs of age including small surface marks and tiny flakes to the paint in places. 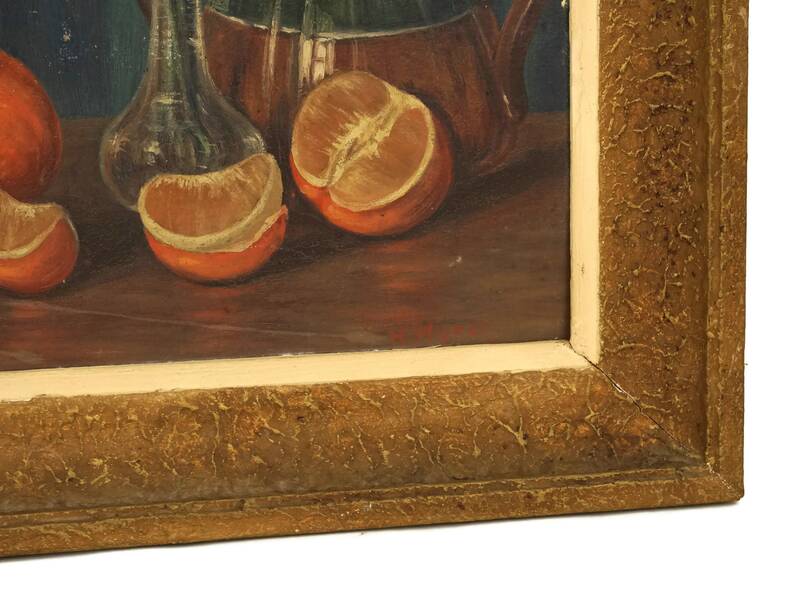 There is wear to the edges of the frame.